A new study from Yale University observes how the appetite center of the brain responds to marijuana, revealing what drives the hunger brought about by cannabis and how that same mechanism that normally turns off feeding becomes a driver of eating. The “munchies,” or that uncontrollable urge to eat after using marijuana, appear to be driven by neurons in the brain that are normally involved in suppressing appetite, according to a new study by Yale School of Medicine researchers in the February 18 issue of the journal Nature. 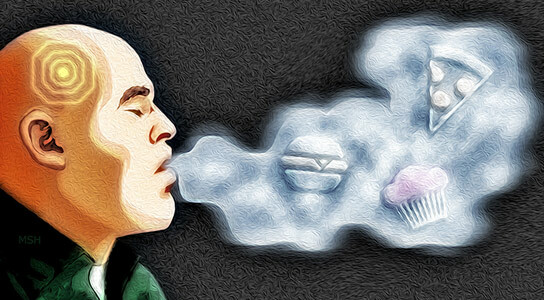 Be the first to comment on "Marijuana Munchies: How the Appetite Center of the Brain Responds to Marijuana"